Like most things, we find with the turn of the season, we are rejuvenated. Whether it is the warmer weather, flowers blooming, or just a chance to start something new – we would like the opportunity to focus on practices that will improve our lives. Did you know that the word “April” is derived from the Latin word aperit, which means to open? Well it is the perfect month to focus your energy on you and open new doors. Here are a few helpful tips to practice this month. Love yourself – we have all heard the saying…Being happy starts with yourself. Embrace the person you are, know that everyone is imperfect, and take an hour or each week to do things that are for YOU (not just to please your significant other, family, work, etc). Self-esteem is improved and goals are achieved through running. Runners realize a greater sense of self-reliance and accomplishment. In other words, running provides an individual with an all-natural, drug free, power-packed ego boost! Running fights depression with the brain’s release of beta endorphins. These are neurotransmitters made in the pituitary gland that can reduce pain, boost the immune system, and bring a greater sense of well-being. These “miracle” compounds have eighty times as much pain-easing effect as morphine. 3. Breathe deep – Oxygen is a vital source of life. You may be surprised to learn that most of us don’t breathe properly — instead, we take shallow breaths and only use 1/3 of our lung capacity. Try practicing how to breathe when running AND to learn how to take deep breaths when faced with challenging situations. Whether at work or at home, taking a deep breath when feeling angry or overwhelmed will help refocus your body and attention. Let’s go! We hope you challenge yourself and try these three easy tips throughout the month. To read our previous healthy tips, click here. Visit our website to learn more about our services and career opportunities. 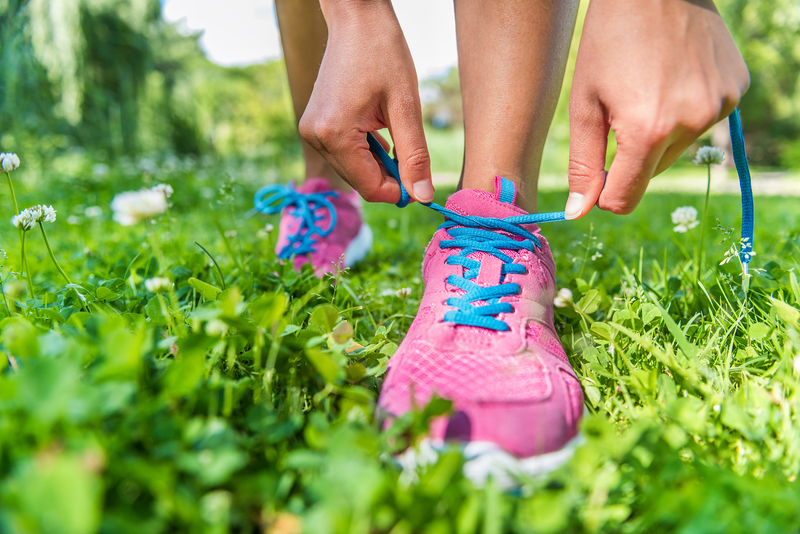 Learn about preventing injuries while running.